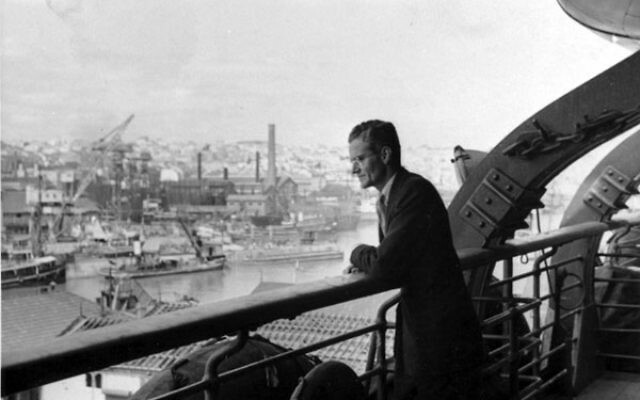 Hiram “Harry” Bingham IV — seen here overlooking the Marseilles harbor, circa 1940 — put his career on the line by defying his superiors and issuing visas to thousands of Jews and other refugees. If, as stated in the Talmud, anyone who saves a life saves the whole world, then Hiram “Harry” Bingham IV was responsible for saving more than 2,500 worlds. 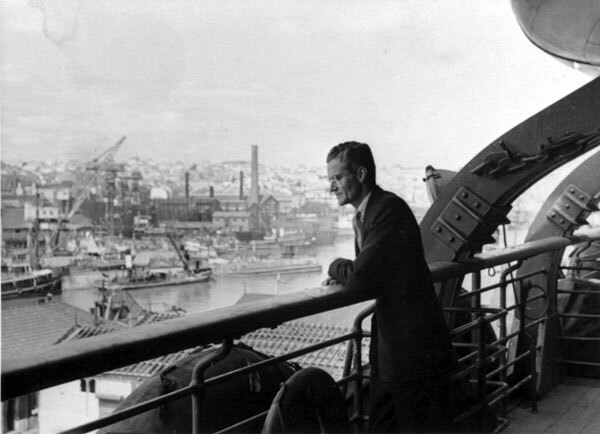 In 1940-41, before the United States entered World War II, Bingham, who died in 1988, was American vice consul in Marseilles, France. During that time, in defiance of orders from his superiors, he issued visas, enabling Jews and other refugees to flee Europe — even in the absence of passports or other documents. Among those he helped save were the artist Marc Chagall, author Lion Feuchtwanger, Nobel Prize-winning scientist Otto Meyerhof, and many others who would otherwise have been sent to concentration camps and an almost certain death. On Sunday, Oct. 9, at Monroe Township Senior Center, Bingham’s son Robert Kim Bingham will tell his father’s story of courage at an annual event sponsored by Hadassah Associates and the Alisa and Monroe Township chapters of Hadassah. Kim Bingham said his father not only wrote visas and planned escapes, but hid fugitives and provided cartons of American cigarettes to be used as bribes for border guards. He also worked closely with Varian Fry, the American journalist who, with Eleanor Roosevelt’s blessing, was sent to Marseilles by the New York Emergency Rescue Committee to bring out targeted individuals. Together, Harry Bingham and Fry searched for people on an emergency list. All of this would have been hard enough if Harry had received support from his colleagues on the ground and the higher-ups in Washington. Far from that, he heard only disapproval and threats to his career. Eventually, Harry was demoted, removed from his supervisory position in the visa section, and abruptly transferred to Lisbon. He had a brief tenure there before being transferred to Buenos Aires, where Kim Bingham was born. Since that day, in 1993, Kim Bingham has worked hard to spread knowledge about his father’s character and accomplishments, including writing a book, Courageous Dissent: How Harry Bingham Defied His Government To Save Lives (Tribune Books, 2007). “Harry had a strong moral fiber, something that was evident from the time he was 10 and stood up to a bully who was persecuting a fellow classmate,” he said. When the shipment was delayed in Madrid, Ida traveled there and, Meyer isn’t sure how, got it back on the move. She then had to return to France, but was able to escape at a later date. “I hope to impress the Hadassah audience with the understanding that the deeds of just a few brave men and women were able to account for thousands of lives and even some art masterpieces to be rescued,” said Meyer. Brief remarks also will be made by the following local dignitaries: State Sen. Linda Greenstein (D-Dist. 14), Monroe Township Mayor Gerald Tamburro, and Hadassah Southern NJ region president Michelle Krasner.